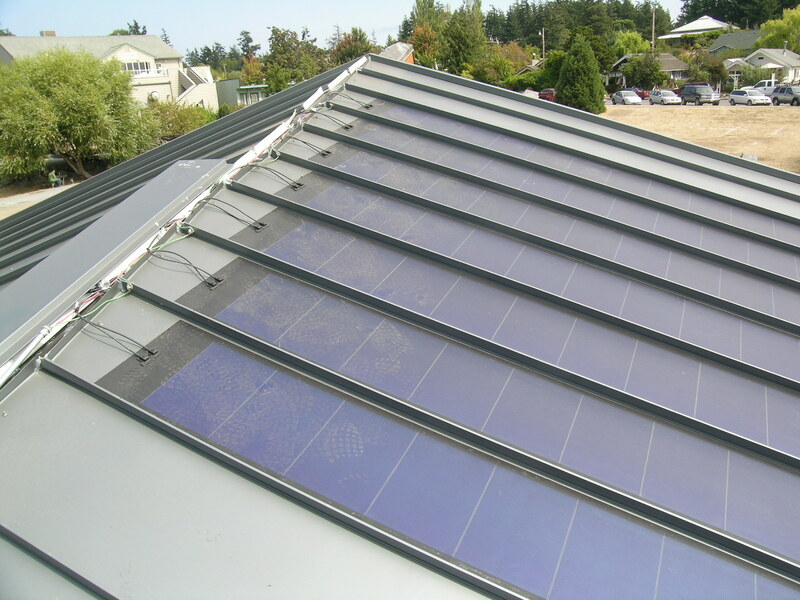 The innovative UNI-SOLAR® product line includes building integrated photovoltaic (BIPV) a lightweight, flexible solar electric system designed to serve a dual purpose of roofing and power generation. 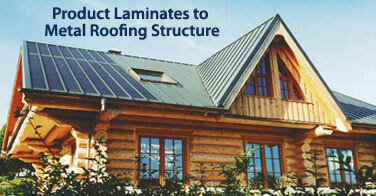 It is also an ideal solution for new construction or re-roof situations. 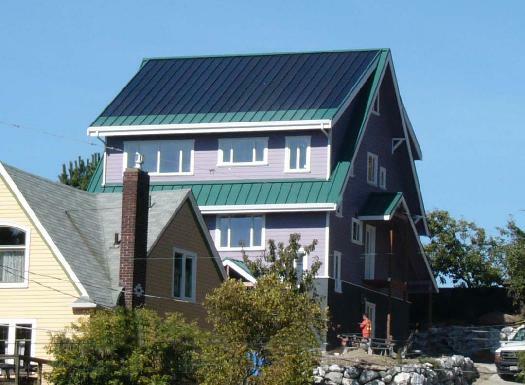 This metal panel roofing combines the appeal of a structural roofing product with the solar electric capabilities of photovoltaics. It enhances a standard metal roof with a power system that is durable, beautiful and best of all, functional. Roll Laminate UNI-SOLAR® photovoltaic laminates (PVL) are flexible and lightweight laminates made exceptionally durable by encapsulation in UV stabilized polymers. The polymer encapsulation is partially constructed of durable ETFE, (example, Tefzel®) a high-light-transmissive polymer. For complete specs click thumbnail images above. Electrical parameters at standard test conditions(STC) of 1000W/m2 and 25°C cell temperature. Length 112" 197" 216" 216"
Width 15.5" 15.5" 15.5" 15.5"
Weight 8.7 lbs. 15.5 lbs 17 lbs. 17 lbs. Note that some of the cost per watt of these roofing laminates as compared with traditional PV modules is offset by several factors including no supporting structures required and they are virtually unbreakable. In addition, this thin-film technology is less affected by high temperature than crystalline solar products resulting in up to 20% more delivered energy. Contact us if you will NOT be using a credit card to purchase a large quantity of this item.